Levy’s pride and joy, Rosalinda’s is one of our area’s absolute best restaurants that I’m guessing about 80% of the public has never even heard of. My order of Tacos Hondurenos con Repollo, three wrapped, fried corn tortillas filled with tender chicken and covered in pickled cabbage, was an absolute joy to eat. Please go check out this restaurant. I promise you won’t be disappointed. Thanks to a great recommendation by a friend of a friend, I partook in the Smoked Pork Chimichanga at Four Quarter Bar. The place is allows smoking but I found it to be quite pleasant in the back outdoor area. Back to the chimichanga….this is total bar food at its finest, with the highlight being that deliciously smoky pork shoulder. Just two visits to Soul Food Sunday and I am officially hooked on HallBros2Go. Follow them on Facebook to see which Sundays they’ll be open, but this is certainly food worth waiting in line for. And, no worries, the line moves fast. 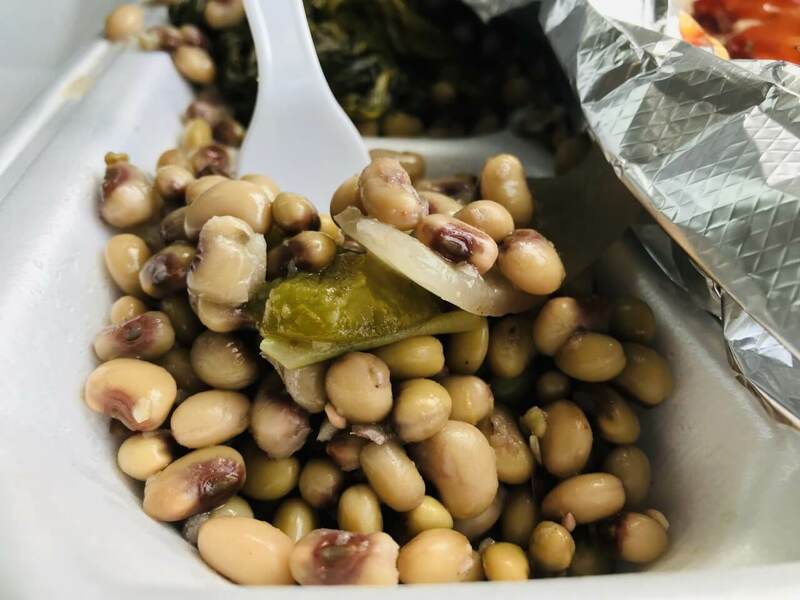 It’s all fantastic, from the fried chicken wings with Stella sauce to the spaghetti to the purple hull peas (pictured above) to the collards, this stick-to-your-ribs food is cooked with love. Do not, I repeat, do not, pass on the banana pudding. Or the fried catfish. Oh, hello Baja Grill. You’re quickly becoming my neighborhood hangout. Basically, it’s my food version of Cheers . 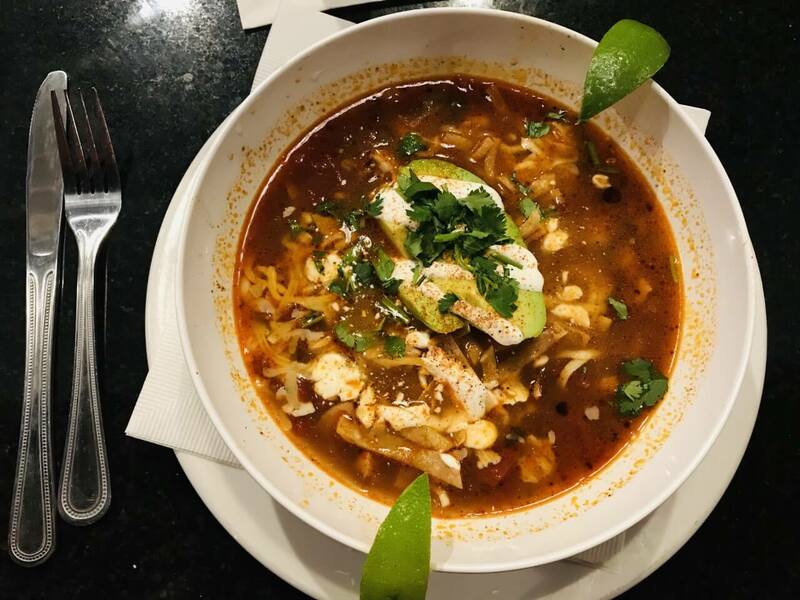 This time, I sat at the bar and downed a bowl of chicken tortilla soup. I’ve described it a million times, so won’t bore you with details. If you’re new to this blog, just trust me and go order a bowl. Speaking of fried catfish, let’s once again revisit Crazee’s, home to my favorite fried catfish in Little Rock. To no one’s surprise, I had some more heavy coated, well-seasoned strips of catfish, along with hush puppies, slaw, and a variety of other offerings. All good, expect for the chicken fried steak, which is a pass. I’ve now been to The Root’s dinner service twice in the past month and both times yielded an excellent overall experience. The quality of service has gone waaaaay up, but so too has been the consistency in food. 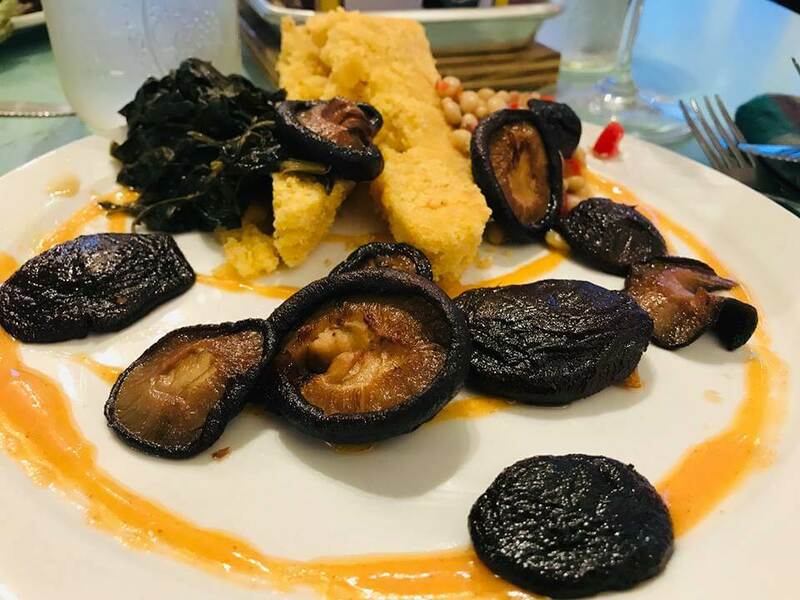 My dish of Smoked Shiitakes with cornbread, purple hull peas, and collards, something that’s been on the menu since Night 1, delighted, as did my bites of meatloaf and the carrot cake. Let’s talk about Maddie’s Buttermilk Fried Chicken Breast with collards and mac & cheese. It’s perfection. 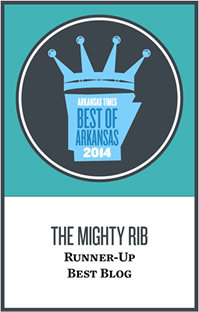 Many folks on the blog even claim it as their absolute favorite dish in Little Rock. Man, it’s really hard to argue with that. The combination of sweet and salty flavors with a touch of spiciness, along with an excellent fry job, makes this dish a must-order. Pro tip, eat half for lunch and doggie bag the rest for dinner. Hanaroo won’t win any Best Sushi awards, but the place always delivers on reasonably priced, solid offerings. I finally checked out their new digs (old Three Fold space) in downtown and thought it was a major upgrade. I get work done at Meteor Cafe. When I’m not writing about food in the confines of my recliner at home, you can generally find me hammering out some posts at Meteor Cafe. No worries, I don’t sit there all day and take up space like a total loser. It’s usually about an hour or two, and during that time, I enjoy a regular coffee and a fresh baked blueberry muffin. Another new location that I was long overdue to check out was Deluca’s in Hot Springs. I went last Friday for lunch with the sole intention of trying the much anticipated cheeseburger. It ended up being the best cheeseburger I’ve eaten in a very long time. And that’s saying something. A proprietary blend of 50-day aged prime rib makes all the difference in the world. 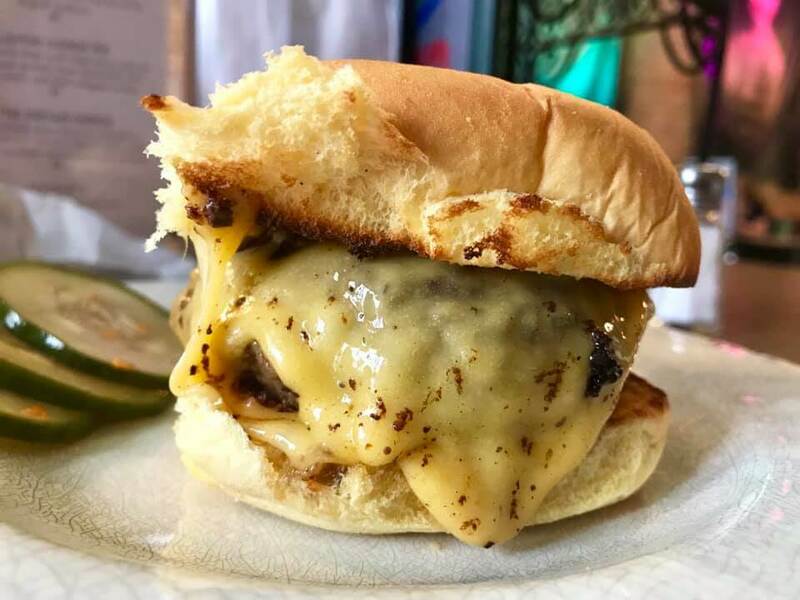 The burger isn’t huge and it won’t overwhelm with toppings (just some American cheese), but the juiciness and quality of beef will certainly wow you. It’s $12 and worth every penny.